My dad came across a tweet by Mr. Bill Gates about a year back, praising this book. He was so moved by the tweet and the review of the book by Mr. Gates, that he decided to immediately buy the book for me. Although, this might be one of those rare occasions where he actually read the book before I did! 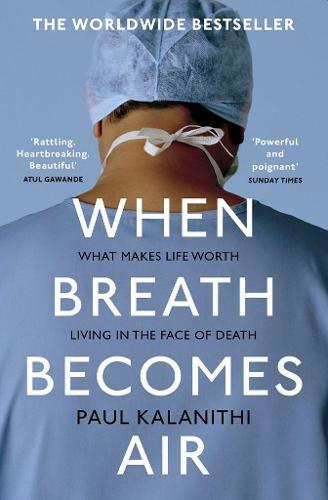 This book is about a highly accomplished and ambitious man who had trained in neurosurgery for many years, and just as he was about to finish his residency, found out that he had terminal lung cancer. As someone that went to multiple elite schools, pursued degrees in literature, psychology and neurosurgery, and always wanted to write a book, Paul decided to write the book about his own journey and life lessons before his disease robbed him of the opportunity to do so. After reading the book for the first time a few days ago, I was confused about what the message behind the autobiography was. Doesn’t everyone die eventually? Isn’t every death tragic? Why does this particular story matter? This was partly the reason that I did not write a review of this book right away; I couldn’t decide what the book was trying to convey. As I pondered it further, I realized that this book was really about Paul’s pursuit of the greater good and how he dealt with unfinished business. An obviously exceptional student, with a list of enviable accomplishments, about to finish the first critical chapter of his journey, only to find out that his will be an unfinished dream. The author portrayed exceptionally well his struggle between doing what he loved, and making sure that he was doing it well despite his deteriorating condition holding him back. A lot of Paul’s friends had dropped out of medical school, unable to handle the stress that came with becoming a surgeon, but Paul had embraced the challenge only to have a terminal disease rob him of a very bright future. When Paul first found out he had cancer, he had initially wanted to continue his residency because he had worked so hard for it. Being a neurosurgeon was difficult enough but performing complex surgeries with debilitating stage four lung cancer was no ordinary undertaking. The internal tussle that Paul went through before finally accepting that he could no longer work was heartbreaking. The book does an amazing job of not only describing his professional struggles, but also his personal ones in parallel. Lucy, his supportive partner, stood by his side, as they tackled one difficult decision after another including one about starting a family while Paul was terminally ill. If you’ve enjoyed reading this review, please be sure to hit like, and while you are here, do check out some of my other recent book reviews. Thank you for visiting my blog!